See what's happening in Broadmoor! 2018 Conference Handouts can be accessed here. Receive CE credit at PPS 2018. See who is going to be joining you in Colorado! Download the PPS2018 Mobile App! Elevate your conference experience with the PPS conference app. Connect with attendees, speakers, and vendors; build your schedule; provide feedback; and find your way around The Broadmoor with the app's user-friendly interface. The app can be located in your mobile app store by searching "Private Practice Section." Annual Conference attendees wishing to receive CEUs/Contact Hours/CCUs for sessions they attend can do so by completing the forms below. Complete a conference session evaluation for each day that you attend sessions and PPS, and receive your CEUs/Contact Hours/ CCUs certificate following completion. Detailed information regarding available CEUs and Contact Hours/CCUs for each conference session can be found on the CEU Information Page. PPS Roaring 20's Celebration: A Gatsby Style Affair! PPS invites you to step back in time to an era of rhythmic Jazz, sequined flappers, and top hats at our 1920's Closing Celebration. Bring your dancing shoes and gambling tricks to a night of delicious food and live entertainment as we celebrate The Broadmoor's Centennial year and the conclusion of another successful PPS Conference in Colorado Springs. Come dressed in your favorite style of the decade! The party will take place on Friday, November 9th from 7:00 - 10:00 p.m. on the Mezzanine Level of the Main Building. Wristbands are required for entry. The Exhibit Hall is SOLD OUT Don't despair, we have other great exposure options! Contact PPS Exhibits, Sponsorship, and Advertising Manager Malisa Minetree to receive information about sponsorship opportunities: [email protected] or 317-815-4688 . Are you already an Exhibitor? Keep your information current, including the names of your booth personnel. Click here to access the floorplan, then select your reserved booth, enter the PIN you received with your confirmation and check the data you have provided. Who will be in your Booth? Each 10x10 booth space offers your company one Full Complimentary registration for the entire Conference plus two registrations for the Exhibit Hall Only. Click here to access the floorplan, then select your reserved booth, enter the PIN you received with your confirmation, click 'registrants' and enter the names. We need an email address for your full registrant. Please provide all names no later than October 26, 2018. 2018 Sponsorship Levels & Benefits. Click Here. 2018 Exhibition Schedule. Click Here. Annual Conference and Exhibition Rules and Regulations. Click Here. 2018 Hospitality Event Hours. Click Here. Click here for pre-show, intra-show and post-show exposure at PPS 2018. Contact the PPS Exhibits, Sponsorship, and Advertising Manager, Malisa Minetree, to receive information about sponsorship opportunities: [email protected] or 317-815-4688 317-815-4688. Your company exposure could be here! n Details . The Broadmoor, is a destination Forbes Five-Star and AAA Five-Diamond resort situated above Cheyenne Lake just outside of Colorado Springs. PPS 2018 attendees will experience luxury service, unparalleled amenities, and endless opportunities to explore the stunning mountains, streams and canyons that are the life of Colorado Springs. Bring your golf clubs, your swimming suit, and come prepared to dine in the 40+ onsite retail shops and restaurants. 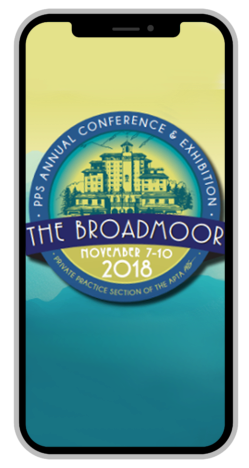 Conference attendees will have the unique opportunity to celebrate The Broadmoor's 100 years in service as PPS 2018 falls during its Centennial year. If you receive a "no availability" message when making your hotel reservation, please contact the Broadmoor directly. They can place you on a waiting list and will contact you in the event of cancellations, or if additional inventory is added. There are companies who might try to contact you to help make a hotel reservation for you in Colorado Springs. These companies are not sanctioned by PPS, nor are they connected with the Broadmoor. No one from the Broadmoor Hotel will call you to ask if you need assistance. Reservations at the Broadmoor for the PPS Conference can be made through this link. Round-trip and one-way shuttle service is available to and from both the Colorado Springs Airport and Denver International Airport. Reservations are required for guaranteed service. Small children that are qualified to sit on an adult's lap are eligible to ride free (children are qualified if they are able to sit on an adult's lap on an airplane without purchasing a seat). Fares can be charged to your room. All reservations for DIA or COS shuttles must be made in advance. Airport shuttle fares to and from Colorado Springs Airport are $24 per person one-way. Upon arrival at the Colorado Springs Airport, please check in at The Broadmoor Welcome Desk conveniently located in baggage claim. The COS Shuttles Run every 30 minutes from the hotel & pick up from the COS airport on the 15 and 45 minute mark each hour. All registration cancellations and refund requests must be made in writing by October 1, 2018. A refund of the full conference fee, minus a $75 administrative fee, will be given for cancellations received by that date. No refunds will be granted for requests postmarked after October 1, 2018. PPS regrets that refunds will not be given for no-shows. All requests for exceptions to the cancellation/refund policy must be submitted in writing by the registrant with appropriate documentation no later than November 9, 2018. After that time, no refund considerations will be made. Refund requests should be submitted to [email protected]. Substitutions within this program are gladly accepted. A substitution of your full registration is permitted prior to the conference by submitting a written request to [email protected]. Onsite transfers must be accompanied by proof of the original confirmation letter. If you are not currently a member of the PPS Administrators' Network, your conference registration will include a 1 year membership to the PPS Administrators' Network. If you are a PT working as a practice administrator, you cannot register as an administrator, you must register in one of the PT registration categories, regardless of the position you hold within the practice. Registration for the Pre-Conference Workshop is an additional fee. Attendance is limited. We strongly encourage early registration to guarantee your place. Following the conference, you can revisit sessions online 24/7 from the presentations as audio recordings synchronized to PowerPoint™ slides (if PowerPoint is used). This content is the best way to keep up with your education and can even be used as a valuable teaching tool to share with colleagues who may have missed the conference. Purchase your online content now, the price will increase if you wait to buy this onsite. Online content includes all recorded sessions except Pre-Conference Workshops. A discount of $150 off the registration fee is available for the 3rd or more registrant. Registrants must register at the same time to be eligible for discounted rates. If paying online, your discount will automatically apply upon check-out. For more details please call the PPS conference line at 301-674-9586. Advance access to Educational Session Presentation handouts on the PPS website. Individual tickets to social events may be purchased on site at the Conference or you may register your non-industry guest now for $450. Join Us November 7-10, 2018 at The Broadmoor! Continue to invest in the success of your practice!